It might sound too good to be true, but giving a great speech doesn't have to be an impossible feat. With some tried and tested advice, you CAN become a better public speaker! Speaking in public is a fear and concern for lots of people. It can push some people over the edge and into a full blown anxiety attack! But with lots of practice and a few good tips, it's possible to not only master your fear, but to give a presentation you're actually proud of! Here are some tips for public speaking made easy. The first thing you need to do to become a better public speaker is to practice your speech. Yes, this seems like an obvious tip, and it is, but very few people actually follow this advice! 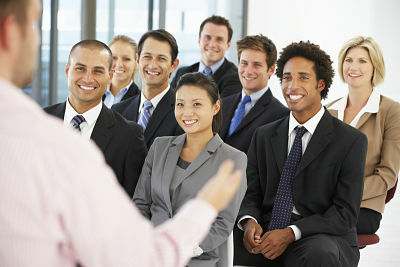 If you want to be better at anything in life, including giving public speeches, you have to put in some practice time. By repeating your speech at every opportunity, you'll be creating neural pathways in your brain that will take some of the anxiety away when the time arrives for you to do it in front of a real live audience. People don't trust a person who does not make eye contact. In order to overcome the fear of being judged or ignored by your audience, you have to engage them. To do this, you need to acknowledge their presence and make eye to eye contact during your speech. It might help, if you are able, to get a few friendly faces dispersed in the audience. If you know that there are friendly faces, you can search for them and make eye contact with the people in their general vicinity whilst you are speaking. When you give a public speech, peppering it with a lot of "uhs" and "ums" will not instill a lot of confidence in your audience. People do not enjoy listening to speakers who put these filler words in while they are speaking. For some people these fillers are nervous habits. If this sounds like you, then you need to deal with the problem before getting up to give your speech. Try recording your speech to see if you can spot the triggers that lead you to use fillers. Then work on eliminating them! To get past filler noises, you may have to insert some intentional pauses in your speech. Don't be afraid to say nothing at all. Being silent is better than spouting off nervous filler sounds. Pauses at the right times can even add to the effectiveness of your speech. If you feel a big "UM" coming on, insert a silent pause instead. It takes conscious effort to do this, but it pays off huge dividends for your public speaking skills. 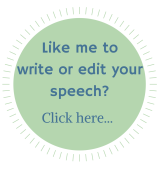 Public speaking made easy? It may sound like a bold claim, but you really CAN overcome your nervousness and deliver a knock out speech. Take the time to practice whenever you can. Put these three tips to work and you'll take great strides toward becoming an effective public speaker.